Photo: Ceretto’s cube in the village of Castiglione Falletto in Italy. When we think of wineries – we think of old cellars, massive barrels and stone floors, and visiting country side and sipping some chardonnay in a relaxed setting. At least most of us do. However, some of the world’s most exciting wineries are a great inspiration for design, and feature amazing modern architectural structures. 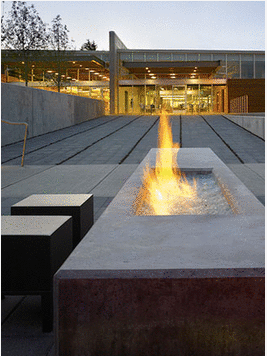 Today’s wineries are built with the latest technology and design. 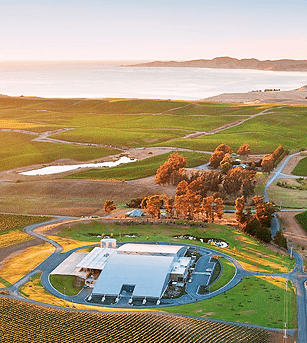 Here are a few design-tastic wineries of the world, read more at Snooth to see more amazing wineries around the world. Amavi Cellars in Walla Walla offers a modern setting for wine tasting for wine enthusiasts in Washington State. Yealands Estate Winery in New Zealand is an amazing example modern winery that is built considering the environment, sustainable design and modern architecture. The roof is solar-reflective, and it includes solar panels and rainwater harvesting. Motion sensors control the lighting and the wind turbines and solar power supply the energy. The entire Yealands Estate Winery has been designed to have as little impact on the ecosystem as possible. 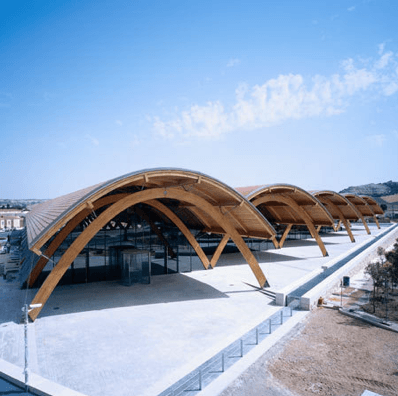 Bodegas Protos winery in Spain has the latest cutting-edge technology and it can produce close to 7 million pounds of grapes, of which over 3 million pounds go through the sorting table. The massive modern facility still manages look sleek. Artesa Winery close to San Fransisco is designed in harmony of natural surroundings, and it is one of the most amazing wineries in the world. 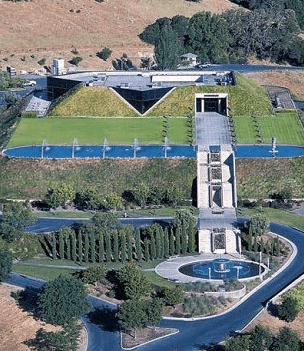 The structural design, landscape design, water features and the winery itself are designed in an amazing harmony of nature, modern design and technology.